Organize everything - in bullet journal style. sizin için Giveaway of the day farkıyla bedava! Bu programı indirmek ve kurmak için sınırlı zamanınız var. Organize everything - in bullet journal style. NotePlan is a unique combination of calendar, notes and to-do list with iCloud Calendar Events and Reminders integration - all in one place. Open up today and get things off your mind. Quickly capture anything important: to-dos, details, journal entries, quotes, etc. Your mind works much better if you write down everything and don’t have to hold it in your memory. Create project notes for each of your goals, then schedule the to-dos into your calendar. Manage your calendar events & reminders alongside your to-dos to plan your time effectively. Establish daily routines that minimize decision making and free up your mental resources to tackle the important things. Create repeating reminders and events you do every day, week or month. Chances are, at the end of the day some to-dos are still open or you collected a few ideas which need your attention. Take your time and review them at the end of the day or week and make a quick decision: cancel, re-schedule or finish them right now. 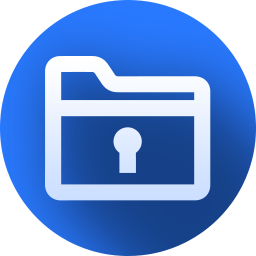 NotePlan saves and syncs all your notes in plain-text files securely on your iCloud Drive. We can’t see your notes, events, reminders or anything else. Events and Reminders are integrated with your iCloud account. NotePlan gets out of your way with a minimalistic design. It’s just you and your day. Tools are tucked away into a custom toolbar and you can use simple, adjustable Markdown to format your notes and to-dos. The weekly and monthly calendar gives you an overview of your tasks. Days in the past will be marked if they still have open tasks. And a glimpse into the future days tell you what’s coming up. NotePlan allows you to work from notes and calendar at the same time, while giving you a glance at all the events and reminders of the day. Dark, light and everything in between. Select one of many themes to change the colors of the whole app, from clear white to elegant and complete black. Get NotePlan for Mac and iOS (iPhone + iPad) to enjoy the full power of NotePlan across your devices (sold separately). The apps stay securely synced via iCloud and iCloud Drive. We don’t store your data on our servers.